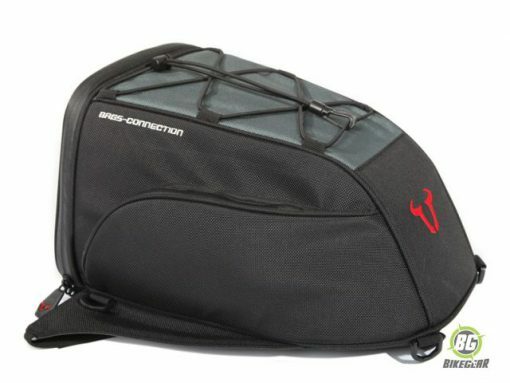 The SW-MOTECH Slipstream Tail Bag fits any bike with a rear seat or flat rear luggage rack. Virtually all modern soft luggage options are made from nylon. Not all nylons are created equal though. 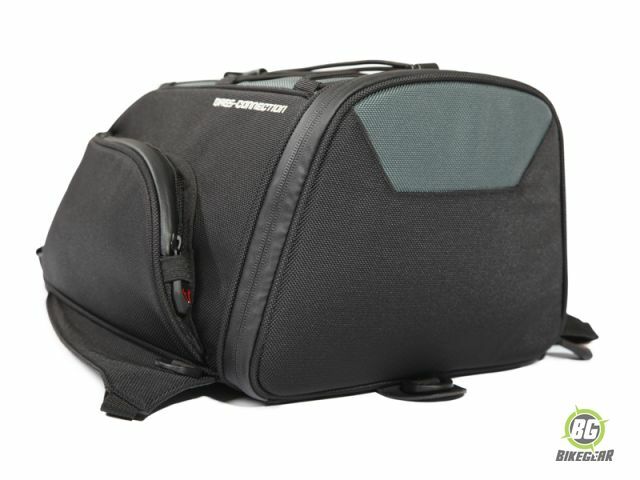 For motorcycle luggage most manufacturers use either a basic nylon, Cordura nylon or an Oxford weave nylon. SW Motech has broken convention by using a class leading 1680 denier ballistic nylon. Ballistic nylon is a densely woven, high-strength nylon fabric originally developed by DuPont for military body armour. The term ballistic nylon takes its name from the fact that it was intended to protect its wearers from flying debris and fragmentation caused by bullet or artillery shell impacts. This fabric is the top-performing choice for rugged applications where exceptional abrasion, tear and puncture resistance are crucial. Dimensions: 350 mm long x 325 mm wide x 213 mm tall. 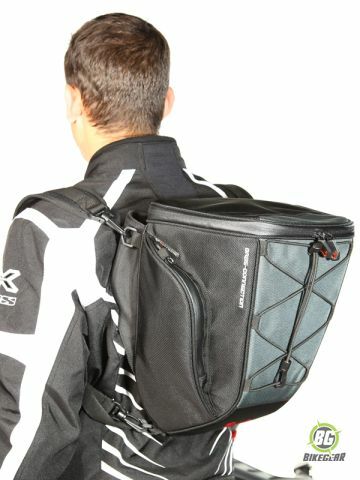 Adjustable strap features along with bungees.